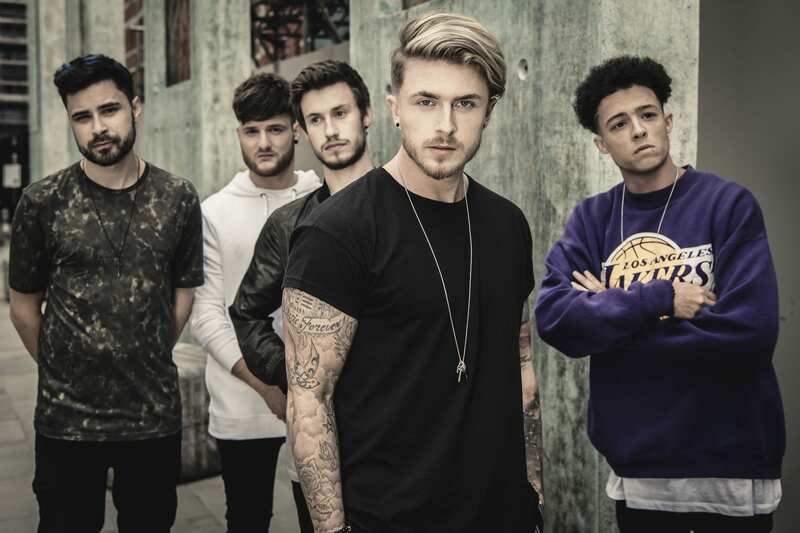 Rap-pop rocking five-piece Y.O.U.N.G will join James Arthur for his rescheduled headline show at Scarborough Open Air Theatre on Sunday August 12. The man behind such worldwide hits as ‘Impossible’ and ‘Say You Won’t Let Go’ is returning to Europe’s largest open-air theatre following the cancellation of his show last month due to adverse weather conditions. Y.O.U.N.G, who have already performed at the venue twice this summer supporting both Emeli Sandé and The Script, will open the show for James on what will be a not-to-be-missed gig. The return show also comes after a series of summer festival dates which has seen the Manchester-based outfit earn an army of new fans as well as massive hype around their rework of live set fan-favourite ‘What I Gotta Do’ in celebration of the World Cup. The five-piece are Chez Davis (vocals/guitar), Benjamin James (rap), Jamie Skehan (guitar), Tom Whitehead (bass) and Graeme Smith (drums). Speaking about their return visit Chez said: “Scarborough is beginning to feel like home this summer. “We’ve already had two great shows there and are delighted we’re now on the bill to support James Arthur. This feels like the perfect fit for our fanbase and hopefully we’ll pick up a new legion of fans on the night. Y.O.U.N.G replace original support Nina Nesbitt who is unavailable for the rescheduled date. James Arthur is riding high following the huge success of his 2016 album ‘Back From The Edge’ which catapulted him back to the top of the charts and led to a string of sold-out live shows. It is just five years since the Middlesbrough-born singer/songwriter became an overnight star when he won ITV’s X Factor. His debut single ‘Impossible’ became a worldwide hit – selling more than three million copies and hitting No.1 in 50 countries. He was nominated for a Brit Award and his self-titled debut album, featuring the single ‘You’re Nobody Until Somebody Loves You’ and collaborations with Naughty Boy and Emeli Sandé, was certified Gold in the UK and sold 400,000 copies worldwide. And last year James – who picked up two more Brit Award nominations in 2017 – capped his triumphant comeback by embarking on his first ever UK arena tour. Tickets for all shows at Scarborough OAT are available from the Scarborough Open Air Theatre’s Box Office (01723 818111) via www.scarboroughopenairtheatre.com and the Discover Yorkshire Coast Tourism Bureau (01723 383636). All those with tickets for James Arthur’s original June 28 show are being issued with new tickets. This is due to the fact those in the standing area handed over their tickets on entry to the original show, while many other tickets were damaged by the rain. Only the new tickets issued – displaying the August 12 date – will be valid for the show. Ticket agents will issue new tickets by post. Those customers who purchased theirs from the Scarborough OAT box office are in the process of being contacted and new tickets will be issued to them.